The LA Hotel & Resort is situated in Lapta, 14 km (9 miles) away from the famous harbour of Kyrenia (Girne). The resort borders the long sandy beach beside the deep blue waters of the Mediterranean Sea. The LA Hotel & Resort has a friendly and relaxed atmosphere and is set in lush subtropical gardens. 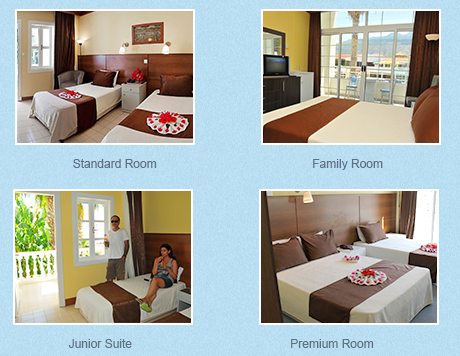 The hotel enjoys panoramic views of the Mediterranean, as well as breathtaking mountain scenery. During the summer, there are regular live music nights and guests can relax at either of the hotel's two bars. When it comes to dining, the hotel has a choice of two restaurants. The LA Hotel & Resort has three fabulous swimming pools. The largest of the pools is the central courtyard swimming pool, the infinity-style of the pool is set next to the private LA Hotel & Resort sandy beach. The beach side restaurant is open throughout the day serving drinks and selection of delicious snacks from our extensive menu. All rooms at the LA Hotel & Resort have sea, pool or mountain views. Northern Cyprus is not part of the eurozone. The currency in Northern Cyprus is the Turkish Lira which remains stable, reflecting the continuing strength of the Turkish economy. You can book your stay at the LA Hotel with total confidence either directly or through any of the Northern Cyprus tour operators. 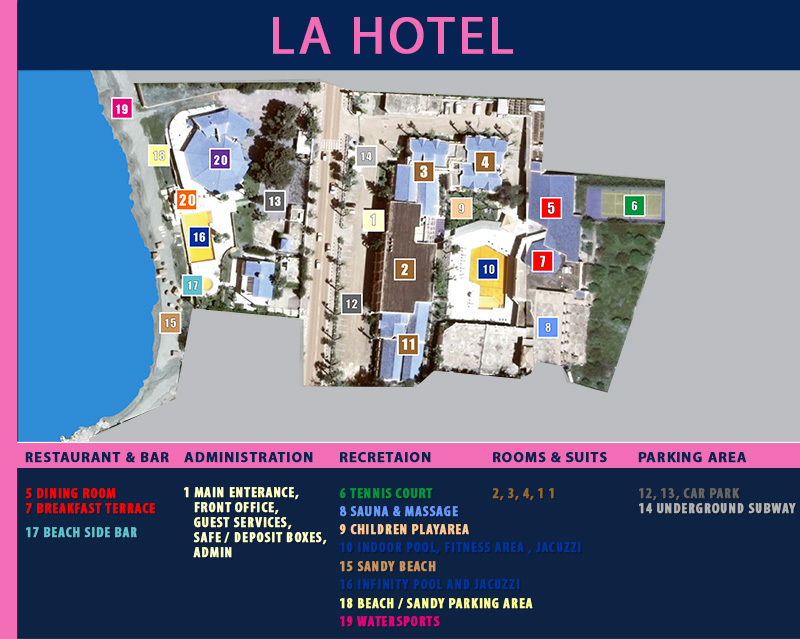 If you have any questions please do not hesitate to contact the hotel via email (info@la-hotel-cyprus.com). We look forward to welcoming you to the LA Hotel.